Following the 400mm f/2.8, it uniquely designed both optically and mechanically. The optic design delivers both an extremely high resolution and a smooth and gorgeous depth of field. Its a compact and lightweight addition to the G-Master line and features a Direct Drive SSM focusing system for greater thrust, accuracy and high speed compatibility for video and continuous shooting on cameras such as the Sony A9. The 24mm G Master is designed with 13 elements in 10 groups. There are 2 extreme aspherical elements to eliminate ghosting and flare and there are 3 extra-low dispersion elements for surprising chromatic aberrations. Interestingly, Sony designed the lens with the first element being one of the XA elements. 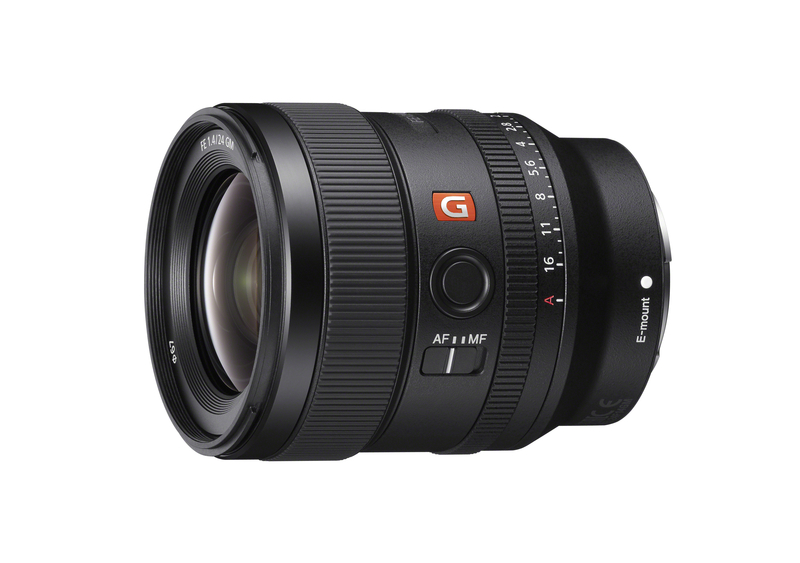 The design is very different than the 24mm lenses designed by Canon, Nikon and Sigma and the result is theoretically a much sharper, high resolving image as seen in the MTF charts. The is also an 11 blade circular diaphragm for maximizing circular highlights in the out of focus areas of the image. Using 11 blades over the conventional 9 maintains circular highlights when stopping down – not just wide open. I only had a few hours with the lens, but it seems the optical performance is around f/4 to f/5.6. Being able to maintain the rounded bokeh highlights is a unique advantage as lenses are almost never at peak performance shooting wide open. 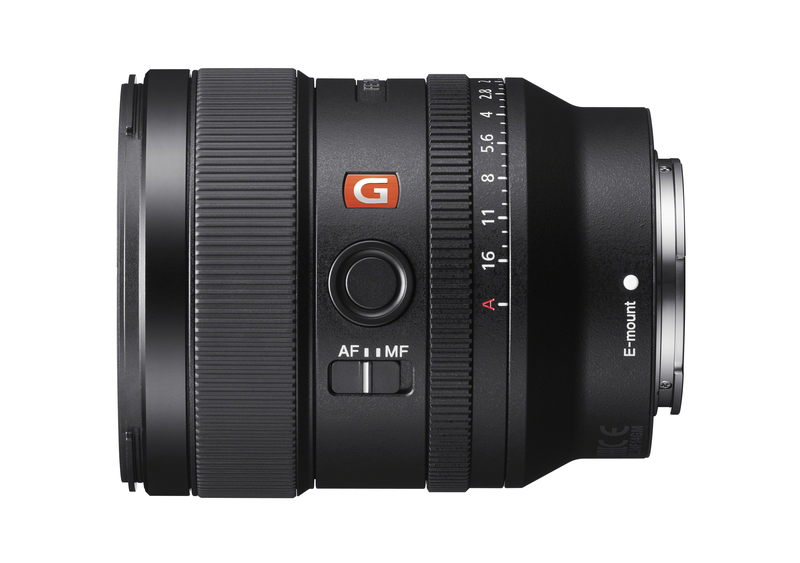 As with all G Master lenses, there is a function button on the lens that can be customized. I personally have mine set up to engage Eye-AF but you can assign this to common functions to be easily accessed from the lens. If you’re shooting video – there are some major design advantages. The 24mm G Master has a switch for de-clicking the aperture collar. The lens also features an internal focusing design to minimize focus breathing. Perhaps my favorite feature of the lens is that it has a minimum focusing distance of .24 meters which is about 9.4 inches from the focal plane in the camera. This means you can get extremely close to your subject. This is not unusual for this focal length – Canon, Nikon and Sigma all have 24mm f/1.4 lenses that minimum focus between 9 and 10 inches. However they all feature 9 blade diaphragms – the Canon has 8 blades. And none of them resolve at 30 lines per millimeter as high as the Sony. All G Master lenses are designed to resolve well up to 100 megapixels which is obviously higher than any camera they’ve released. I’m particularly excited about the Sony 24mm G Master in that it will achieve a similar style of shooting but with higher resolving power, faster AF and the ability to retain a beautiful depth of field even when stopping down a bit.